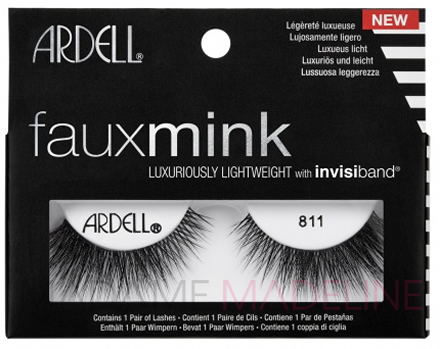 There is nothing that will add glam to your make-up look faster than a gorgeous set of Ardell #101 false eyelashes. The challenge for beginners is how do you put them on without looking like overdone? Pick the right lashes – It’s tempting to go for the really long, extremely full lashes. But without a lot of trimming these lashes look ridiculous and make it hard to keep your eyes open. Go for lashes, like Ardell Fashion Lashes #101 Demi Lashes (available in Black or Brown) that have some spaces between the hairs, just a little longer than your natural lashes and look fairly natural. Remember that the lashes add to what you already have. Lashes can be trimmed – Just like everything else, one size doesn’t fit all. Depending on the size of your lid and how long you want the lashes to extend beyond the outside of your eye, you’ll probably need to trim a little off the end of the #101 lashes. Because it’s much easier to apply shorter strips than strips that go across the entire lid, you can even cut the lashes in half and apply only to the outer corner of the eyes for a little lift. Use glue sparingly – This is the make or break it point of the whole application. Using a toothpick or straight from the tube, apply a very thin line of glue to the same part of the lashes that were stuck to the package. You can always add more glue later if you need it, but if you put too much on you’ll have to pry your eyes open to see again. Let the glue dry on the lashes for 30 seconds, until just tacky, before applying. Put the strip as close to the lash line as possible – Some people like to use tweezers, but others have better luck using their fingers. Hold the lashes at a 45 degree angle, rather than flat against the lashes as you position them. Start at the inside corner and gently press into place, working your way toward the outside corner. Gently pinch the #101 lashes down to blend with your own lashes. If you like, add a little mascara to the top and bottom lashes. Voila, you are now a diva with long lush lashes. Now that wasn’t so difficult, right? Class dismissed! Nice post. I love Ardell’s lashes so much. My favorite is the 103 because it’s dramatic and natural at the same time! When I wear 103 I don’t need to put on mascara, but it blends with my natural lashes real well. Next time I am in my local Target, I will pick up a pair of #101 to try out. #103 is my all time favorite. False lashes are amazing, they caught my eye because of the fullness of the lashes. Also they give me that big dramatic lash without looking too fake. My Andrea lashes #21 give me the natural dramatic lash look I was looking for. I wear them out everyone, great for parties or for a nice evening out. The #101, #103, and #107 are just beautiful. They aren’t natural as other shorter styles but gives you a gorgeous glam look! The hairs of these styles are pretty long and offer fairly good volume and coverage. When on your eyes, the big volume look is amazing! 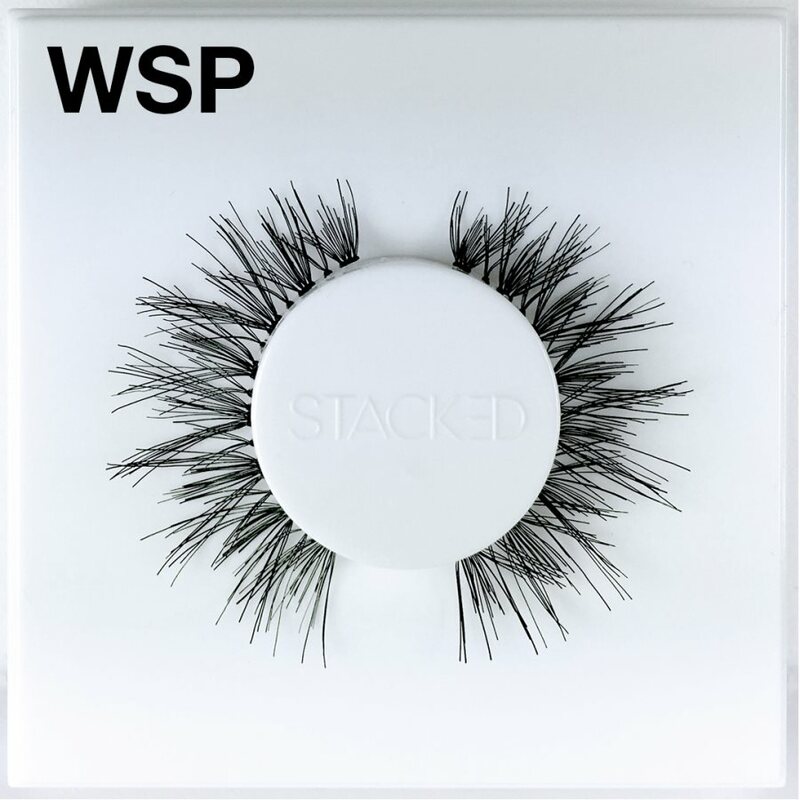 I was always intimidated by #107 lashes at first as they are much longer than the #101 and #103 but they make my eyes look more dolled up from close and afark . They cost about me about $7.00CDN. I swore by Ardell lashes but the full ones either 103 or 110 for a natural look. It takes a little practice but you will eventually get the hang of it or ask someone who knows what they are doing to help you out. People cannot tell they are fake until they ask! I do not wear lashes everyday.. But I definitely will rock them for glam moments!I don’t know if there is any good trick to applying falsies, just lots of practice.I first do my black liner. then apply glue to falsies. It is VERY IMPORTANT to allow the glue to dry and become tacky for at least 30 seconds before you apply it to your lids. If you try to put them on before the glue is ready, it will still be wet and slip around. After they are securely in place, I use my eyelash curler to curl them with my natural lashes. This helps them slip in to a more natural/comfortable place on my eyelid and also blends them in with my natural lashes. When I apply false lashes they tip downward and end up covering part of my eyes and make my eyes look smaller. How do I get them to tilt up? @jeannie: Try using a pair of flat tweezers and gently grab the lashes close to the base (after placing the lashes on your lashline) and bend upwards. Do this when the glue is tacky but before it dries. You can also curl your lashes after application to help open up the eyes even more. Hope this helps!